On Christmas Eve, villainy is afoot in London Town! London’s robbers have cooked up a plot to steal all the toys they can lay their hands upon! As brave Officer Pugh and his men leap into action to save the children’s toys, will the heroic cops be able to stop Grandma Swagg and her naughty gang? This riotous romp of rumbustious fun from Janet and Allan Ahlberg is a marvellous swag-bag of slapstick giggles and comical characters. A firm favourite with kids and grown-ups everywhere, it is criminally funny! 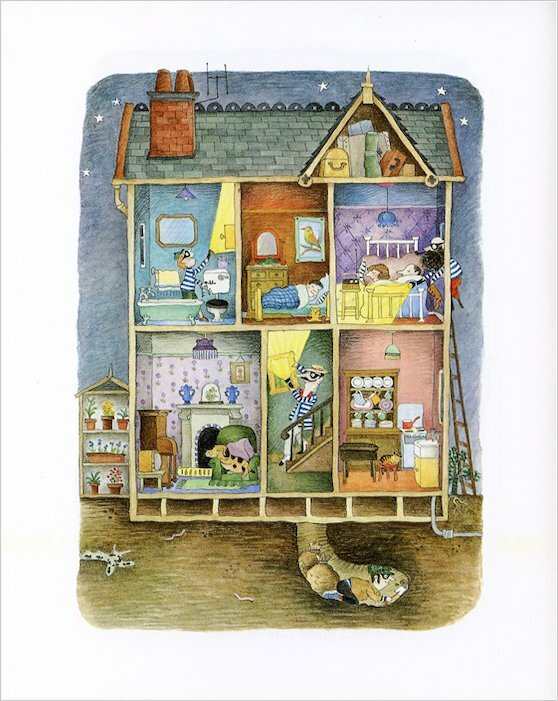 This was one of the very first Allan Ahlberg book I got when I was 4 or 5 years old. 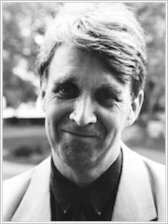 He’s one of my favourite writers still. This used to be one of my favourite books. I would recommend this to all younger readers – it’s really good. 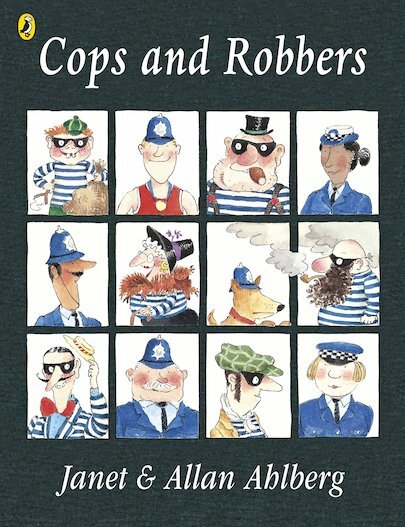 When i was little, cops and robbers was one of my favourite kiddy books, because i loved marvelling at all the ugly villains, and waiting to see if they would get captured! This book is funny. Great for little ones. Have it in our school and the little 3rd read it when we do pared reading.My reader loves it. It’s funny when the robbers got in jail! I have this book from when i was a child and read it to my son when hes in the mood to sit still for a while. 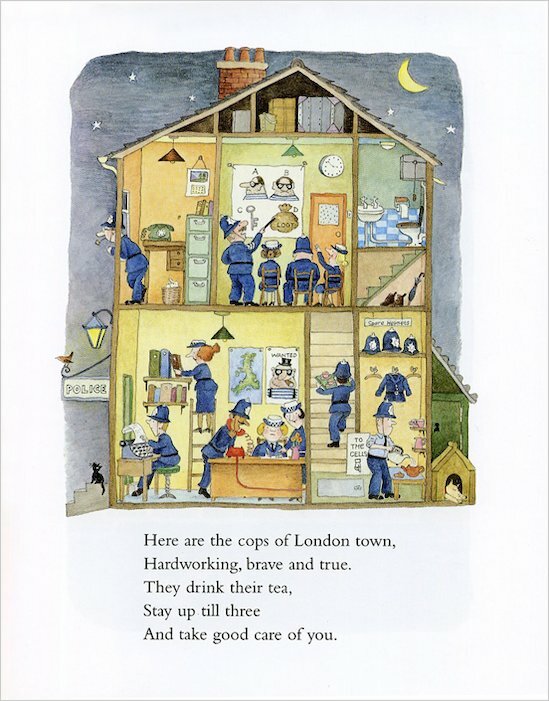 It brings back memories from my mum reading it to me – great book. I havent got this book at home but I have read it at shcool and I have to say its toatly funny Read and find out! This book brings back many memorys when I was young and I love this story!